Ableton Link is a technology that synchronizes musical beat, tempo, phase, and start/stop commands across multiple Link-enabled applications running on one or more devices. Applications on devices connected to the a local (wireless) network discover each other automatically and form a musical session in which each participant can perform independently: anyone can start or stop while still staying in time. Anyone can change the tempo, the others will follow. Anyone can join or leave without disrupting the session. 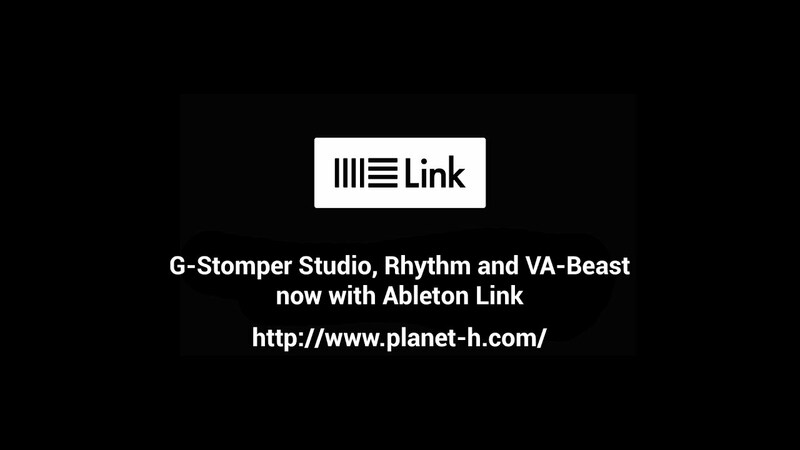 All G-Stomper apps, G-Stomper Studio, G-Stomper VA-Beast and G-Stomper Rhythm, have Ableton Link integrated. It couldn’t be easier! Connect to your local wireless network, long press Play, enable Ableton Link and play in sync with your friends. Detailed instructions on how to use Ableton Link in G-Stomper are provided in the Online Ableton Link documentation or the Printable PDF. All devices you want to synchronize over Ableton Link must be connected to the same Wireless LAN. All G-Stomper apps, G-Stomper Producer, G-Stomper Studio, G-Stomper VA-Beast, and G-Stomper Rhythm, have Ableton Link integrated and are able to send out a MIDI clock. Therefore all G-Stomper apps can technically synchronize external MIDI hardware devices (that support MIDI Clock Synchronization) with your Ableton Link Session. 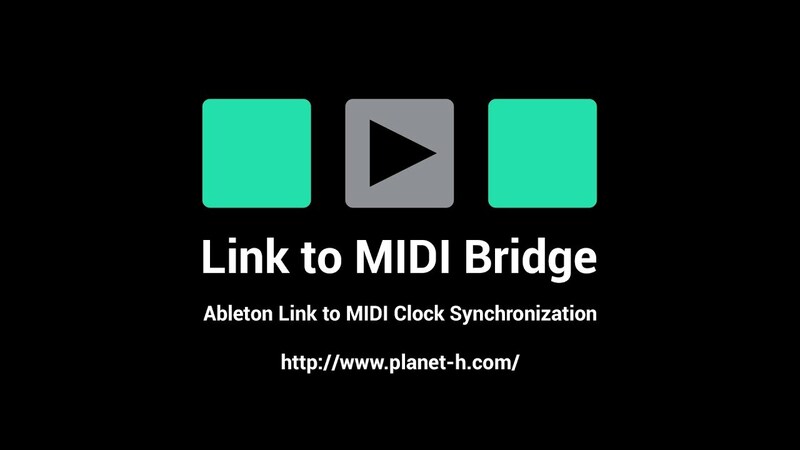 Nevertheless, to synchronize external MIDI devices we recommend to use Link to MIDI Bridge, a standalone app that creates a virtual bridge between your Ableton Link Session and musical devices that support MIDI Clock Synchronization. While G-Stomper Producer, G-Stomper Studio, G-Stomper VA-Beast, and G-Stomper Rhythm are focused on best Audio Quality, Link to MIDI Bridge has been explicitly designed to synchronize external MIDI hardware devices with your Ableton Link Session and is therefore fully focused on timing and MIDI transmission. This free add-on pack is a special giveaway to celebrate the 5th G-Stomper Studio anniversary! Very special thanks to FunctionLoops for the samples and for the great collaboration over the last years! The pack brings a fantastic collection of 60 brand new samples in best 24bit quality and 4 ready-to-use Sound Sets to your G-Stomper Studio / G-Stomper Rhythm Sound library.